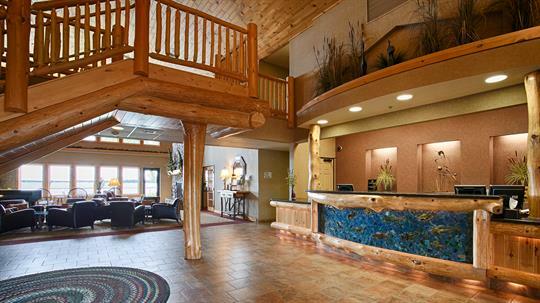 An eco-friendly, lifestyle hotel & spa on shore of Big Detroit Lake. Affordable luxury. 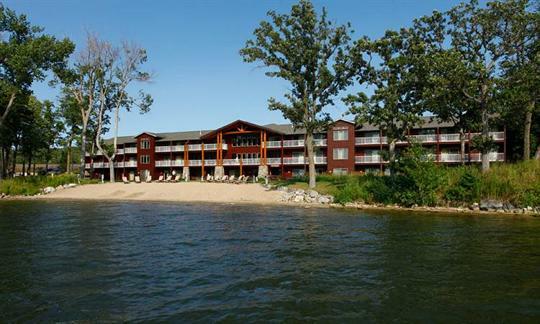 All 54 rooms lakefront & non-smoking. 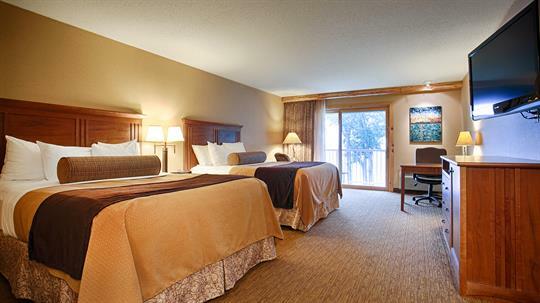 Amenities abound: flat panel HDTV's, glass enclosed showers, upscale bedding, private balconies,commissioned artwork, free HSIA & more. Family Suites w/kitchen. 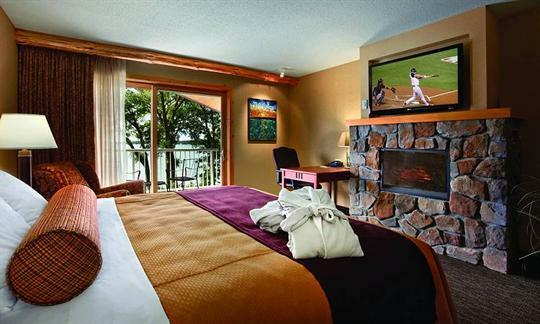 Renewal Spa Suites w/hydrotherapy/aromatherapy whirlpool & fireplace. 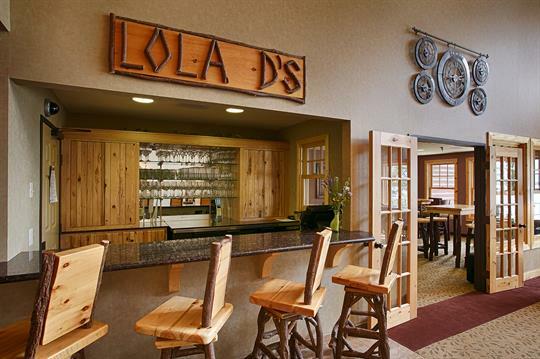 2-story fireside lobby features LoLaD's Bistro & Bar for guests & grand piano sunset serenades. Business center. 24hr fitness room. 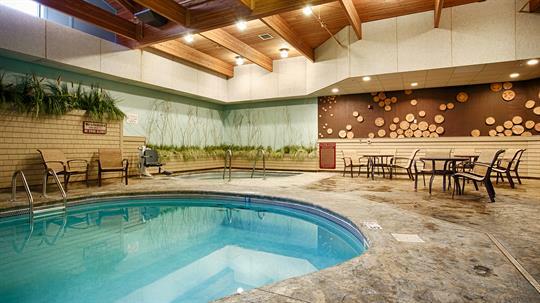 Indoor pool & whirlpool. Private beach. Firepits. Boat Slips, kayaks & paddle boats. Complimentary hot breakfast buffet. 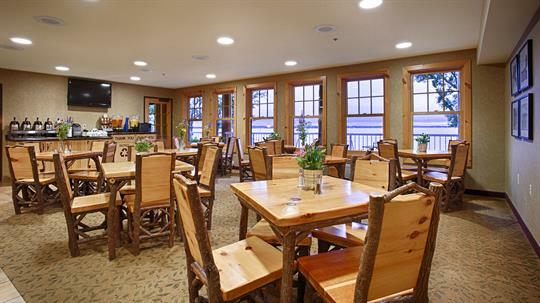 Meeting rooms & catering avail: 1200 Place holds to 80ppl. Pokegama Board Room hosts executive mtgs to 12ppl. The Spa Within offers massages, facials, body wraps, nail therapies & more. 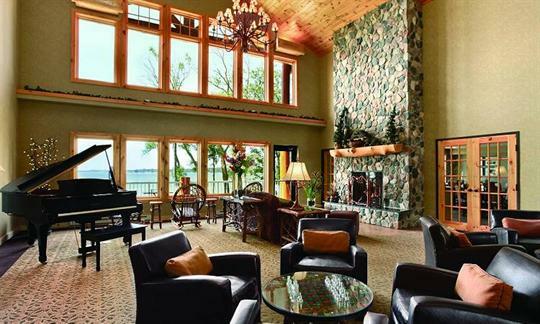 Visit web for pkgs & events like wine tastings, murder mystery weekends & ''LIVE at The Lodge''. From: All directions. On U.S. Highway 10, half mile east of downtown. Two miles east on 10 of junction of Highways 59, 34 and 10.